I’m planning to either: 1. Run a trivia night to raise money for communities impacted by climate change 2. Take my camera to Tasmania and hike in search of the Tasmanian tiger, or 3. Wear a top hat and cane to work every day for a month. Help by voting for what I should do. Voting has closed. The winning challenge is Run a trivia night to raise money for communities impacted by climate change. Bruce is raising money to support the Swift Parrot. Voting is now closed. Bruce's pledge is closed for voting, but you can still support Bruce and the Swift Parrot by making a donation using the 'Make a Donation' button above. Bruce has pledged to complete the most popular challenge — Run a trivia night to raise money for communities impacted by climate change. Help Bruce raise money for the Swift Parrot. 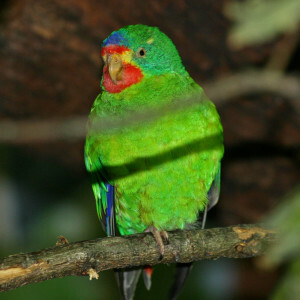 Support Bruce Paton by donating directly to the Swift Parrot.